Cablexa 100GBASE-LR4 CFP module supports a link length of 10 kilometers on standard single-mode fiber (SMF, G.652). 100 Gigabit Ethernet signal is carried over four wavelengths. Multiplexing and demultiplexing of the four wavelengths are managed within the device. They are compliant with the CFP MSA and IEEE 802.3ba 100GBASE-LR4. Digital diagnostics functions are available via an MDIO interface. This CFP-100G-LR4-10KM is marked and labelled with Cablexa brand as default. Customized labelling and branding are available as request. 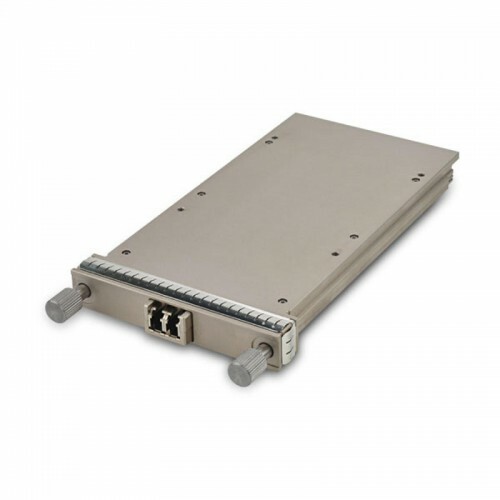 Cablexa offers 5-year limited warranty on this CFP-100G-LR4-10KM optical transceiver module. This Cablexa CFP, 100Gb/s, 100GBASE-LR4, SMF, 1310nm Band, Duplex LC, 10KM Transceiver Module is 100% MSA compliant. It is guaranteed compatible with your router or switch. And it comes with a 5-year warranty and lifetime technical support. If you have any questions about this CFP-100G-LR4-10KM transceiver module or any other item, feel free to contact us.